After the last Pumpkin Bread Adventure, I was on the lookout for a better recipe. You know, one with flavor and spices and stuff. 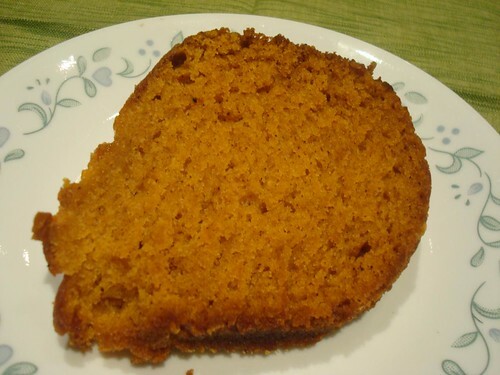 Which is why the very day that Miss Zoot posted her Pumpkin Bread recipe I was in the kitchen making some. 1. The texture of this bread was perfect. A nice moist crumb. 3. The bunt shape makes for a pretty presentation and easy slicing. It's not something I had previously considered for quick breads, being afraid they would be too dense to cook through, but this one is light enough that it works brilliantly.